Who doesn't love a bunny? 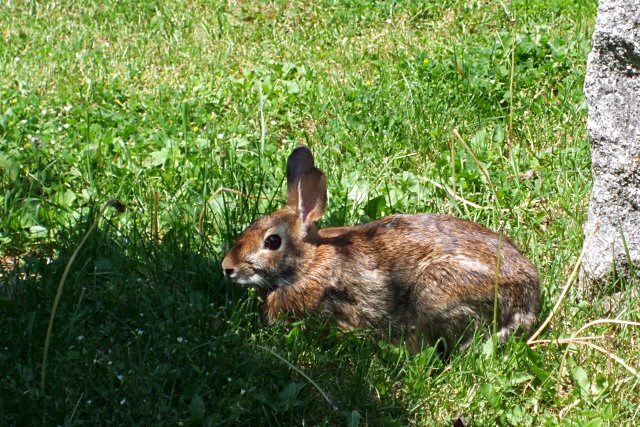 This rabbit lives in Mount Pleasant Cemetery. There was also a groundhog hiding under a bush about a metre out of this shot. It kind of makes you wonder what kind of sturdy underground home groundhogs and rabbits could find in a cemetery.